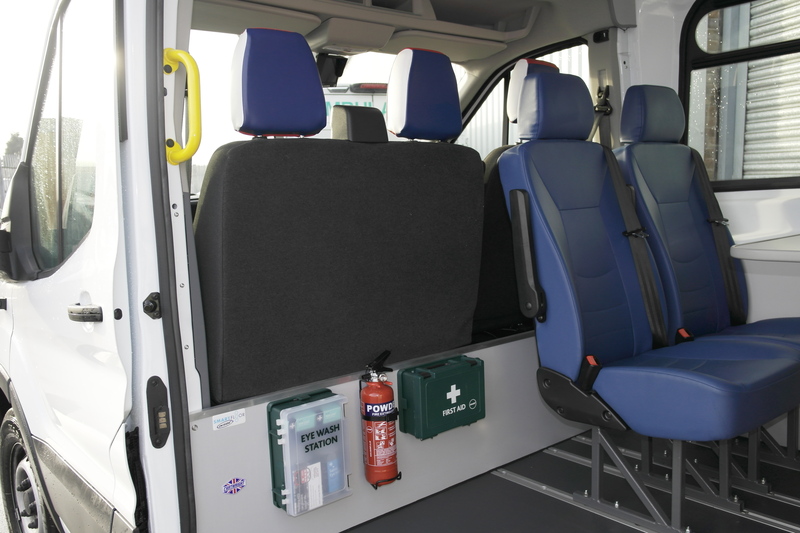 Cartwright’s welfare vehicle is designed to take care of your workforce on the move. Built to carry seven people you can choose to add a non-travelling tip-up seat to accommodate an eighth person. 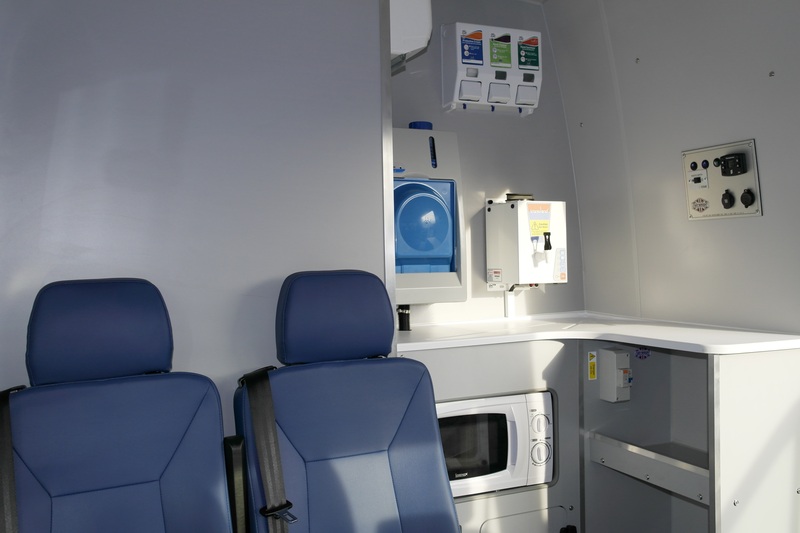 This robust vehicle comes with standard messing facilities and a patented rear section that keeps the toilet and storage area separate so both can be individually accessed. 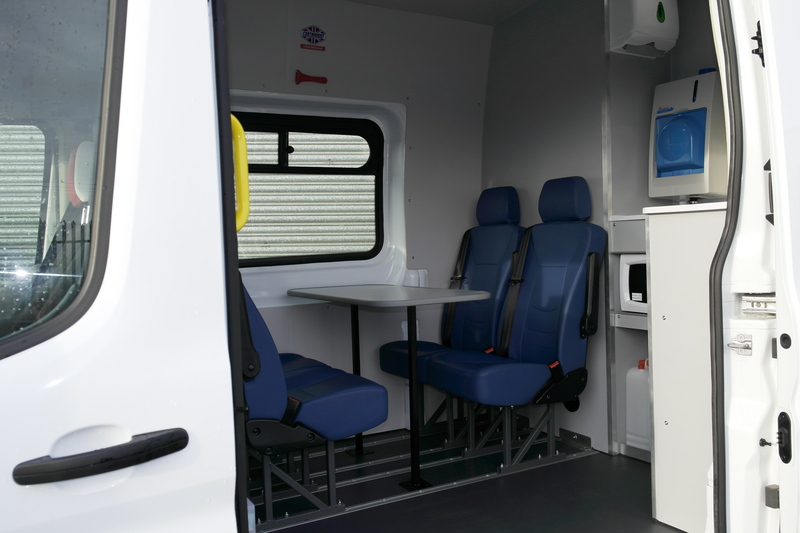 Available on a range of base models, we were the first converter in the Country to gain Ford-approval for our Transit welfare vehicle. This popular conversion has National Small Series Type Approval on a range of base models and goes through a rigorous quality control process before it leaves our premises in Yorkshire.